I’ve been doing a lot of baking lately. I have a feeling this baby is going to be just like his or her dad, because all it wants is sweets!! So I ventured to make a recipe out of my new cookbook: The Duchess Bake shop cook book by Giselle Courteau. There are recipes for some seriously tasty treats in there! First up, cube your butter. Next, cut the butter into the flour using a pastry cutter. Since I don’t have a pastry cutter, I use my fingers to roll the butter into the flour. I find it works just as good. 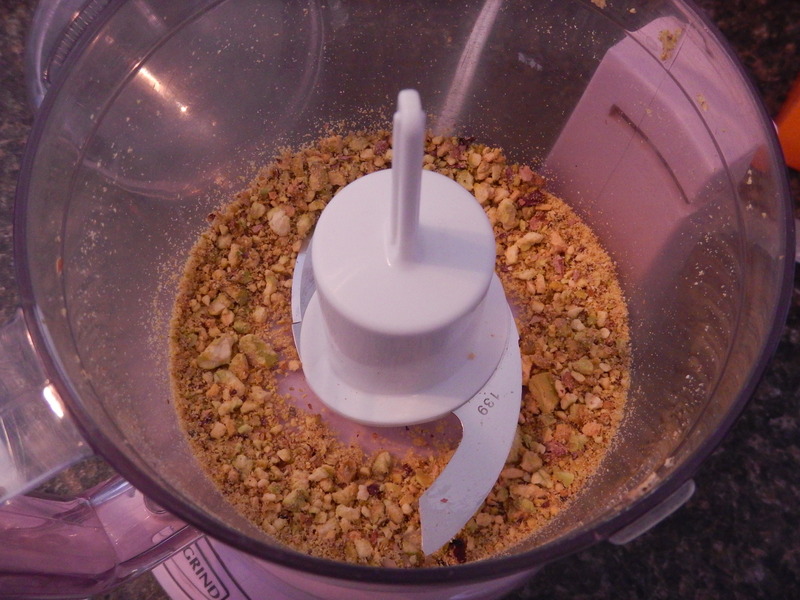 I ground up some pistachios in the food processor to get nice, fine pieces. Then I added the wet ingredients to the dry, until just incorporated. 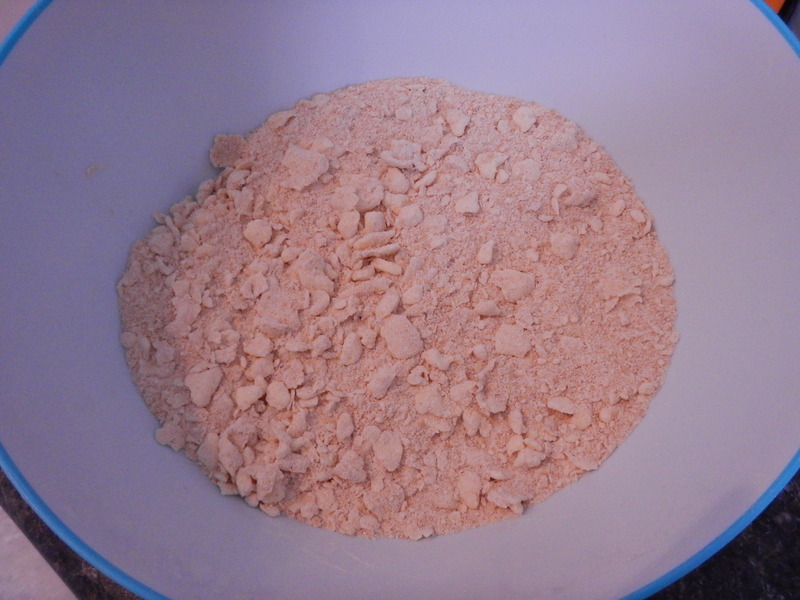 The recipe wanted the mixture to still be very crumbly. In went the raspberries, yogurt chips and pistachios. Then I formed nice little scones with the dough, using my hands. Bake them up until nice and brown on top. Then enjoy them, with a glass of warm milk, on a sunny winter’s afternoon. Preheat oven to 375. In a large bowl, stir together the flour, baking powder, baking soda, sugar and salt. 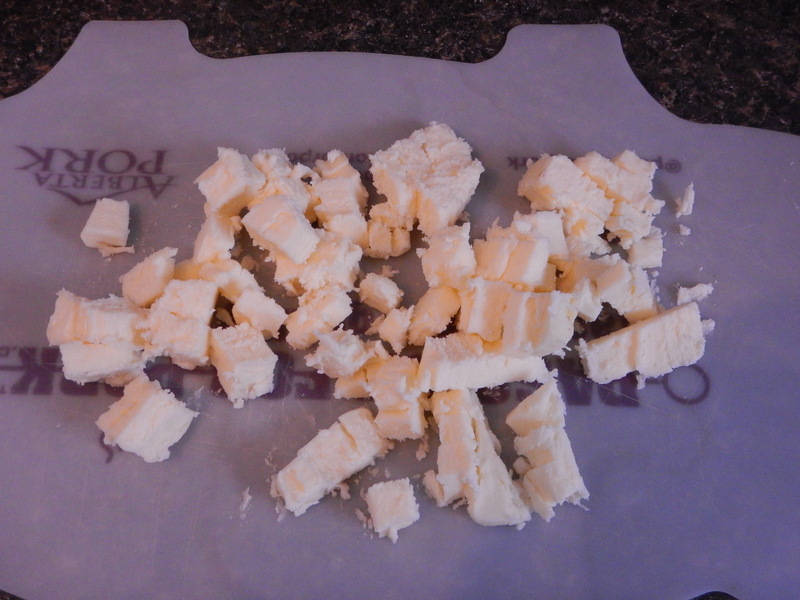 Cut the butter into the dry ingredients using a pastry cutter, or pearl the butter between your fingers. Add your milk and stir to combine. 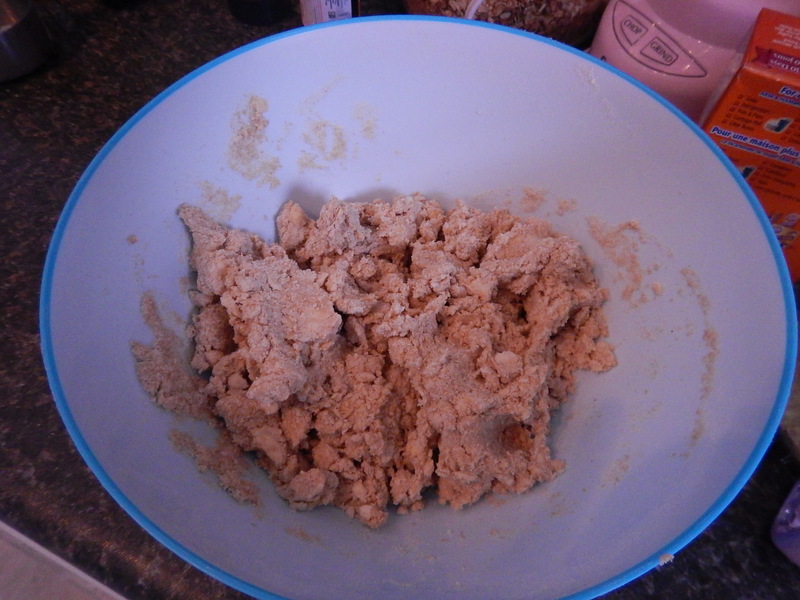 The dough will still be rather flaky and crumbly, but should hold together. 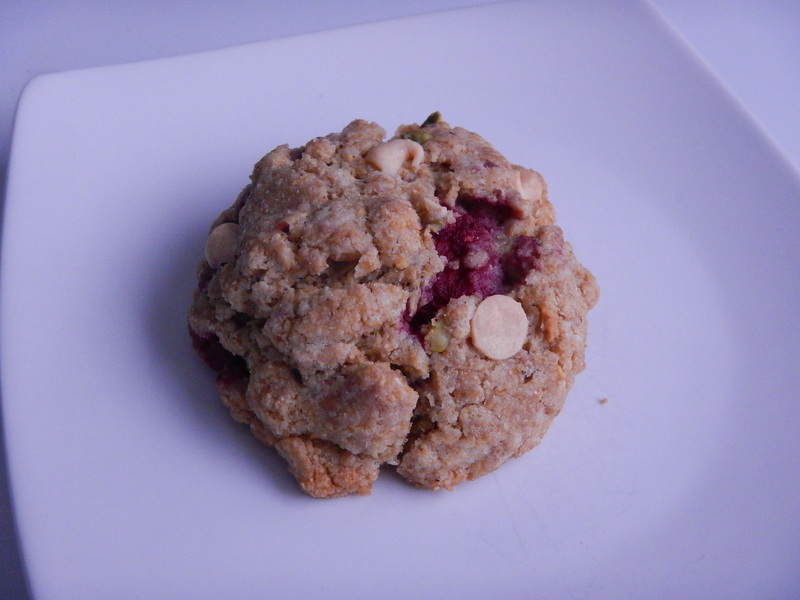 Add the raspberries, yogurt chips and pistachios and incorporate gently. 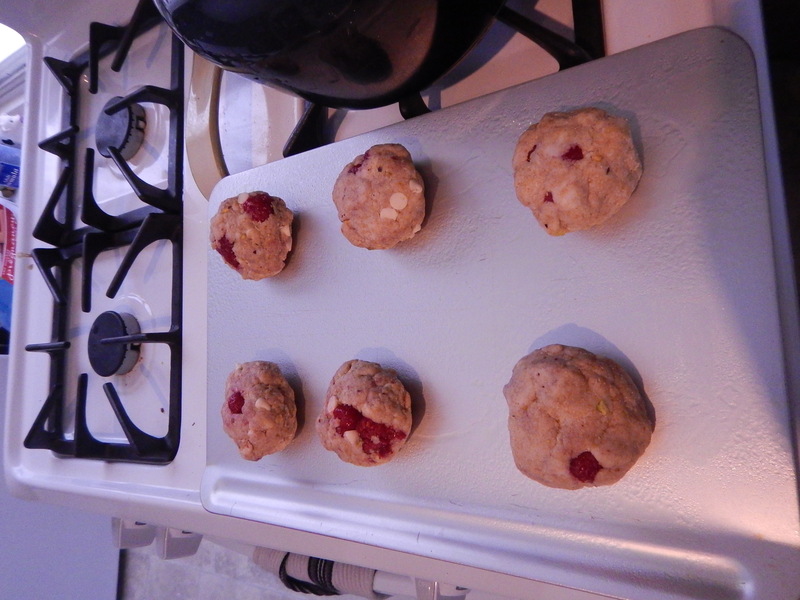 Using your hands, form medium-sized scones, and place on a greased baking sheet. 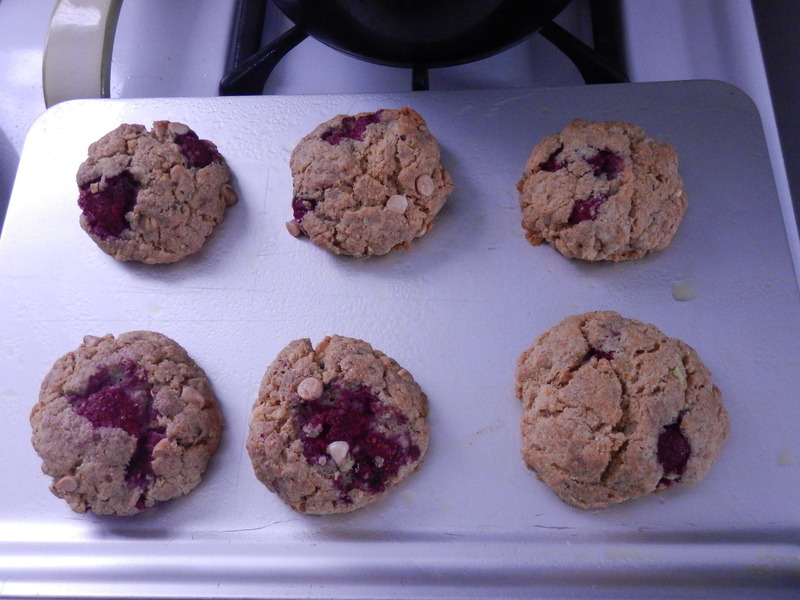 Bake at 375 for 25-30 mins, until the scones are lightly browned on top. Enjoy! This week, I’ve been craving mangoes. 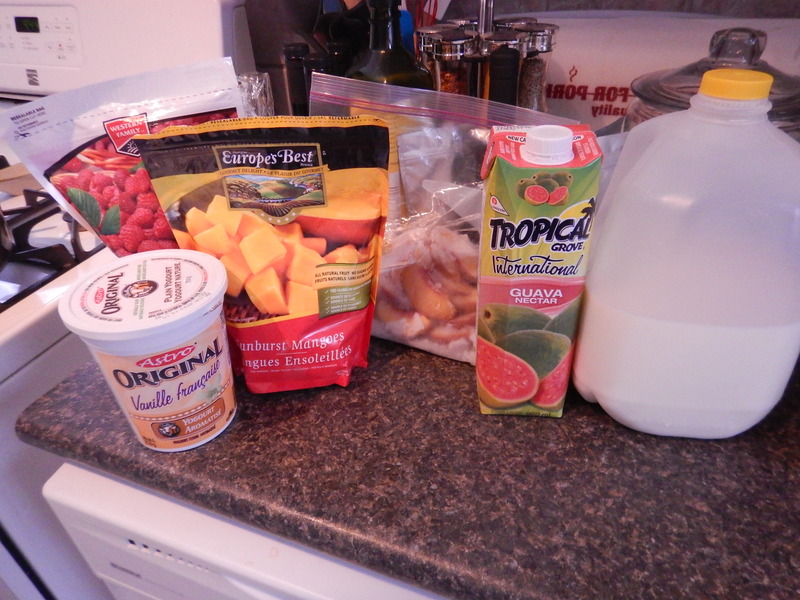 Mangoes and yogurt, mangoes and ricotta cheese, and mangoes in smoothies. But not just any smoothies. It’s been a deep craving for mango hurricane smoothies from Booster Juice (how very specific, eh?). Since they are almost $6.00 a pop, I figured, why not make my own creation and save a bundle? I was so lucky to have found a recipe online that tastes almost exactly like a mango hurricane smoothie from Booster Juice. 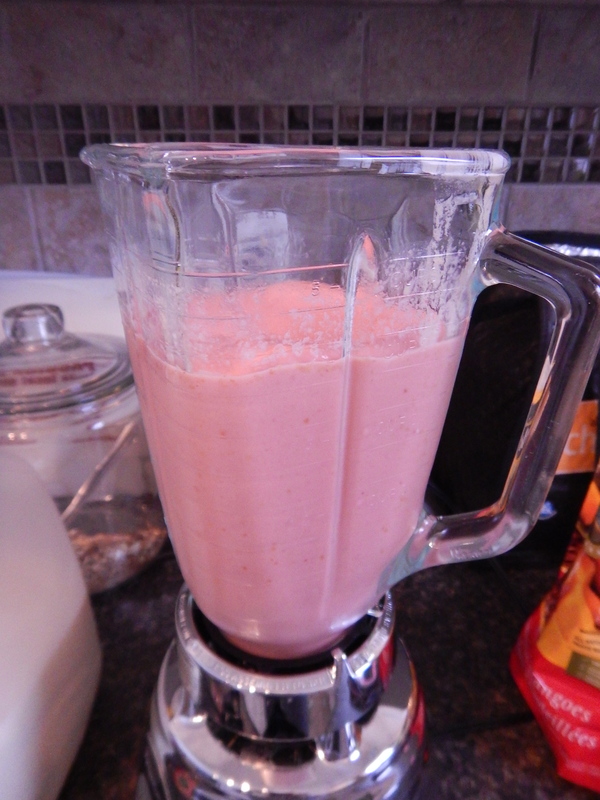 First, I added a little golden flax to the blender for some extra Omega 3 in my diet. 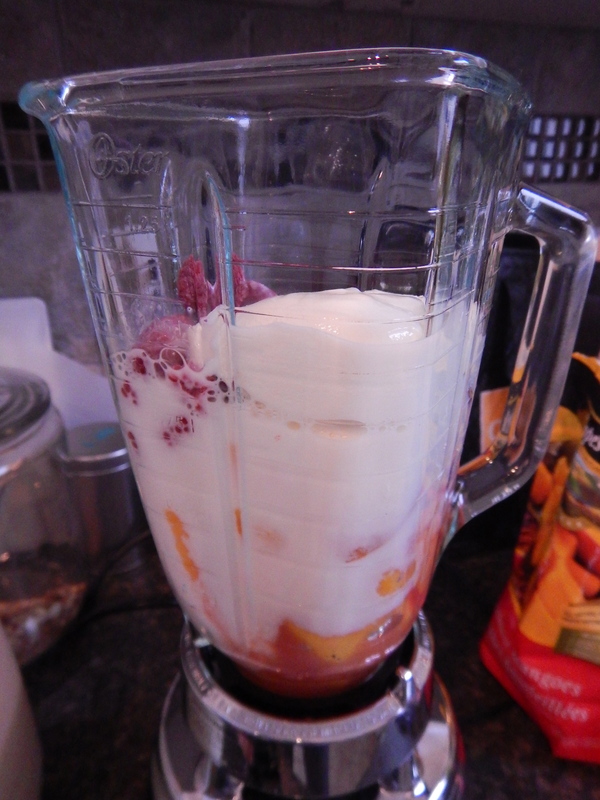 Then, I added all the fruit: mangoes, raspberries and peaches. 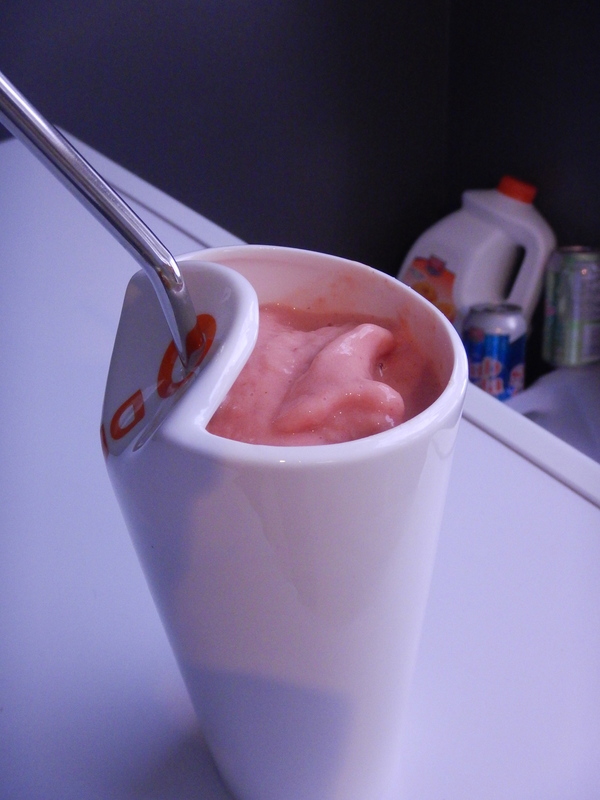 Next the liquids: vanilla yogurt, milk and guava juice. Then I blended it all up! 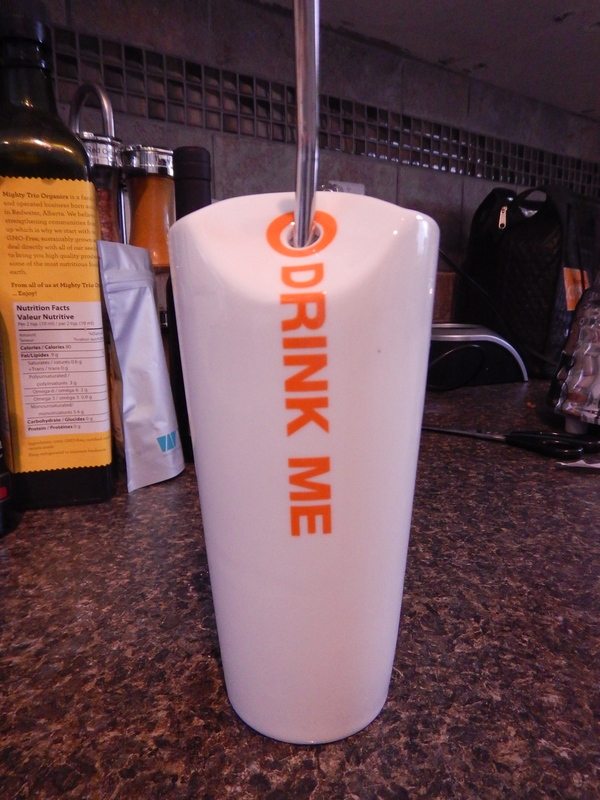 Making smoothies gives me a great excuse to use my Alice in Wonderland inspired “Drink Me” cups. 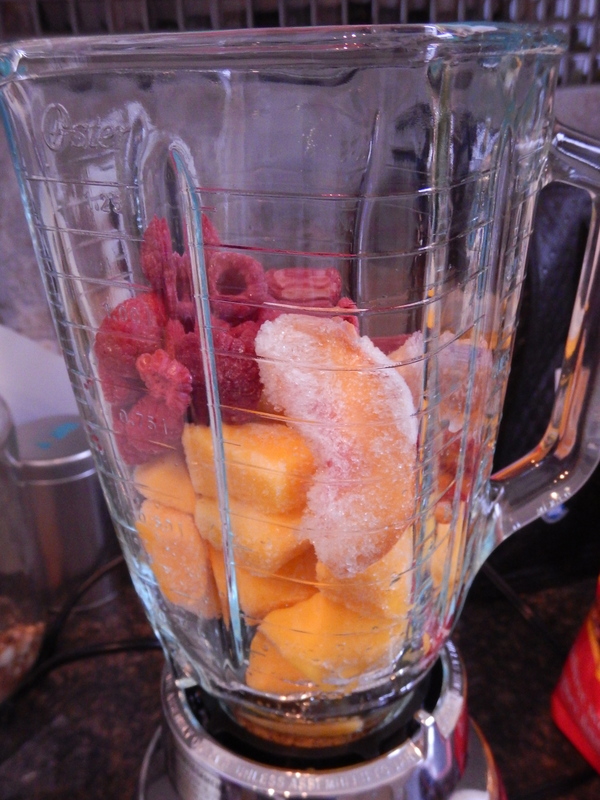 This tasty smoothie will definitely satisfy any Vitamin C craving! 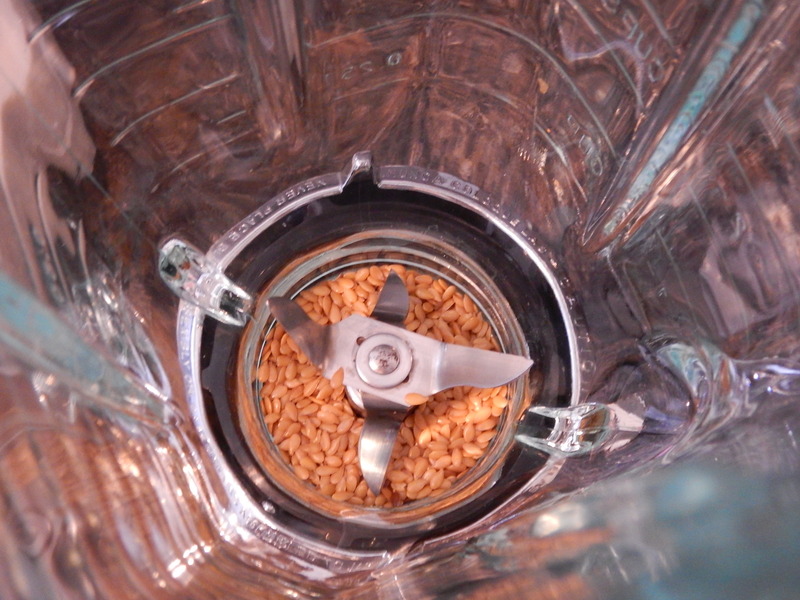 Add flax seed to the bottom of your blender. 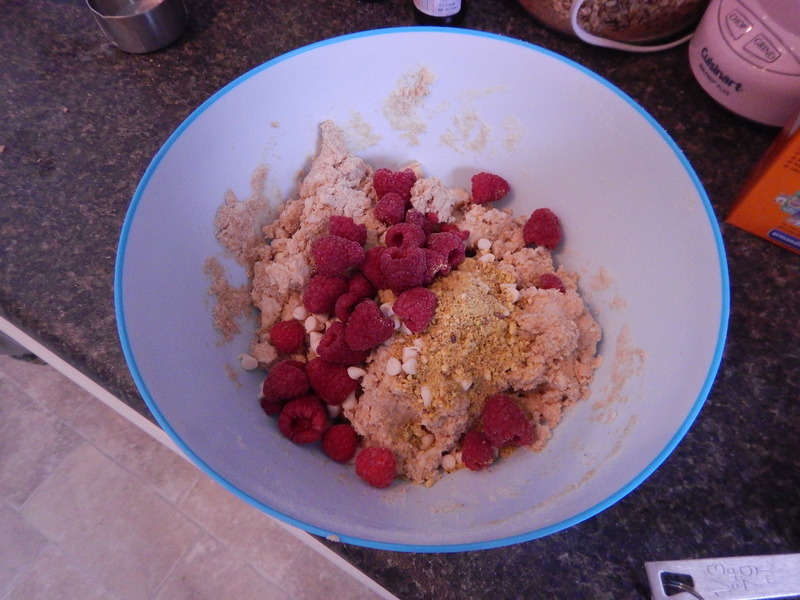 Add all other ingredients and blend on high for 2-3 mins, until ingredients are blended together nicely. This recipe makes two large tumblers. Enjoy! This recipe was the ultimate in cheesy luxury. I started by making a roux for the sauce. 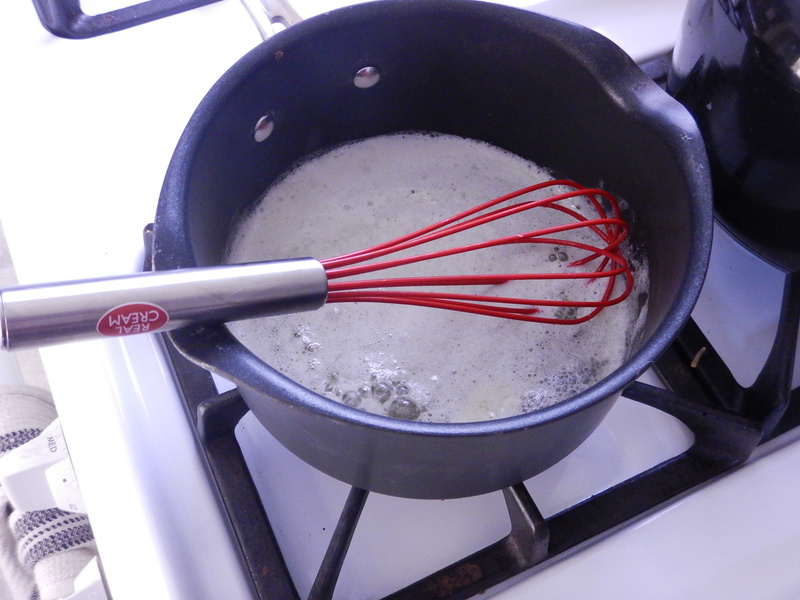 The easiest way to use whole grain flour for a roux is to shift out the wheat germ. 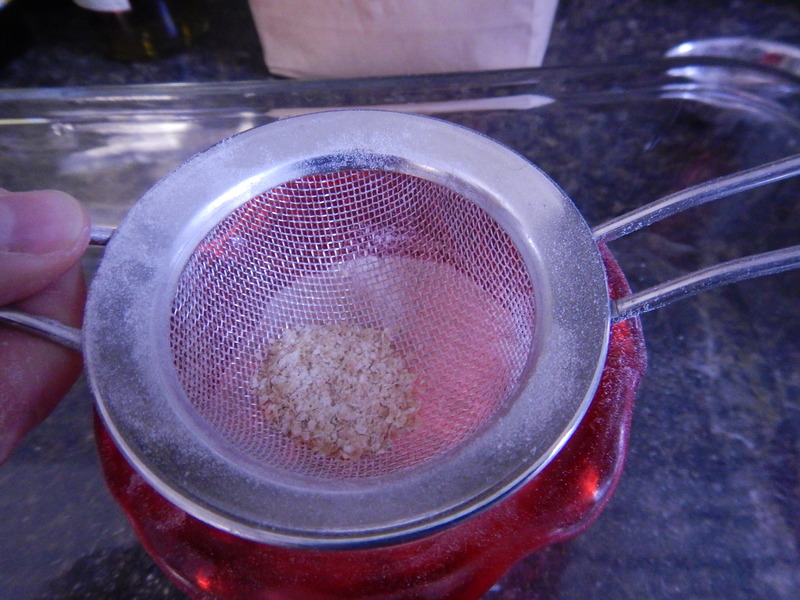 I’ve forgotten to sift it out in the past, and it didn’t work so well – I recommend not skipping this step! Next, melt some butter in a pot. Add the sifted flour to the butter and cook down for a 1-2 mins, whisking all the while. 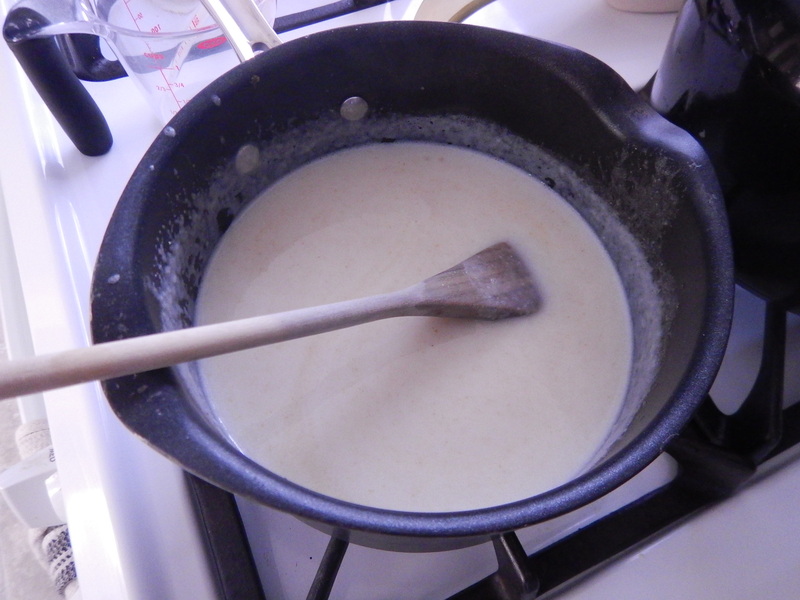 Next, add your milk and heat until the mixture starts to thicken. 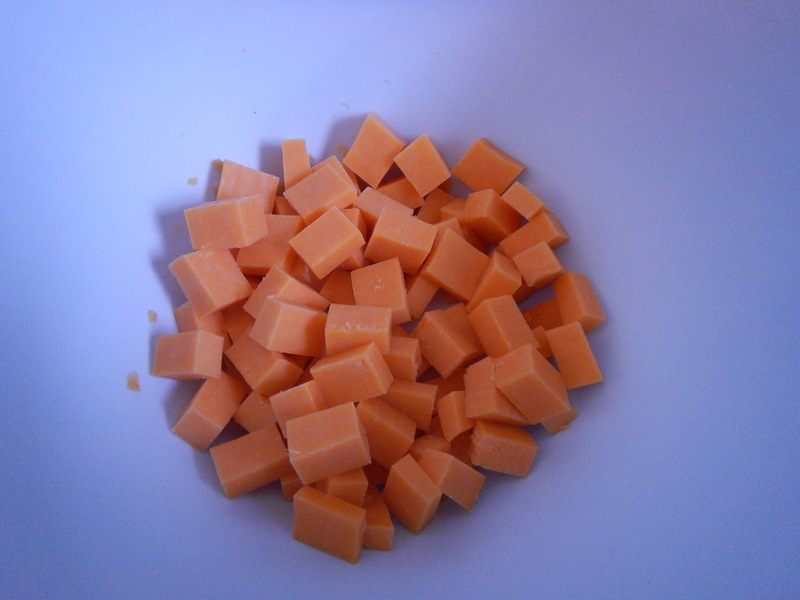 Get your cheese ready by grating it up or chopping it into small, melt-able portions. 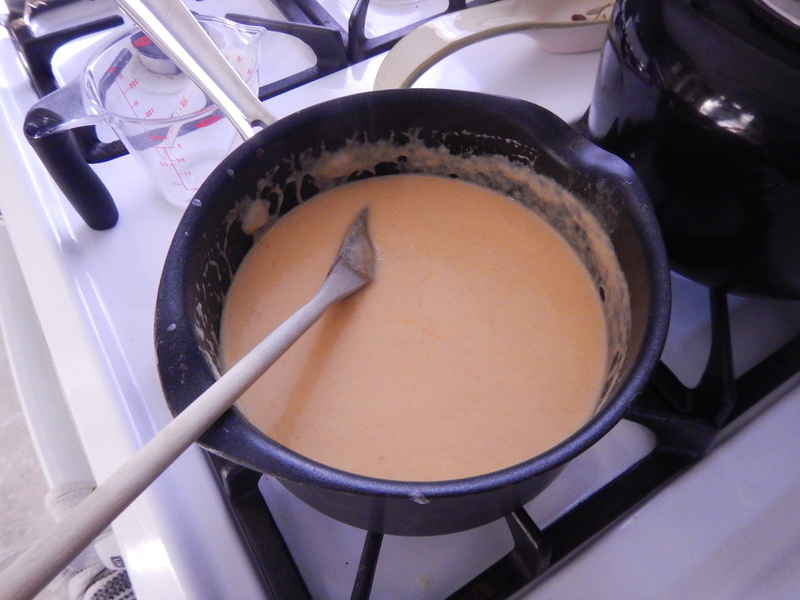 Add the cheese to your milk-based sauce and heat until all the cheese it melted. 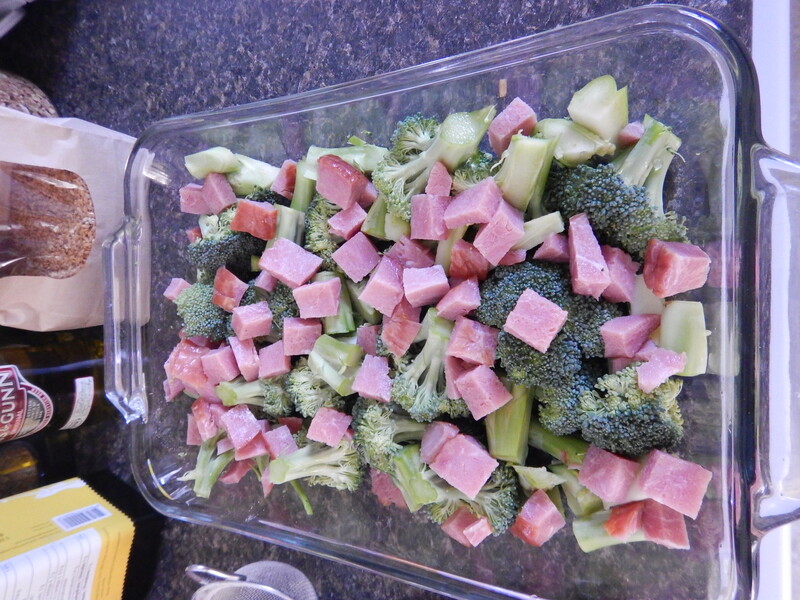 Next, prepare your casserole by chopping up some broccoli and ham and throwing it together in a dish. 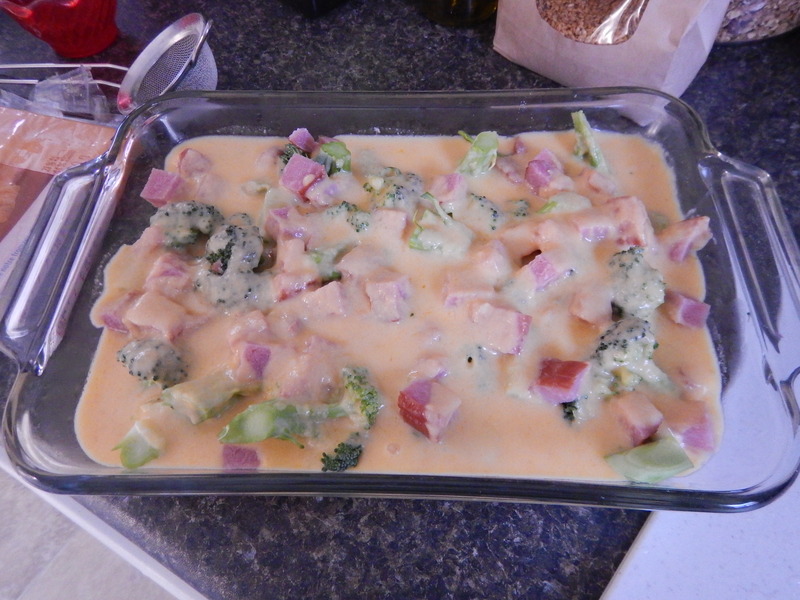 Then cover the broccoli and ham with your tasty sauce. 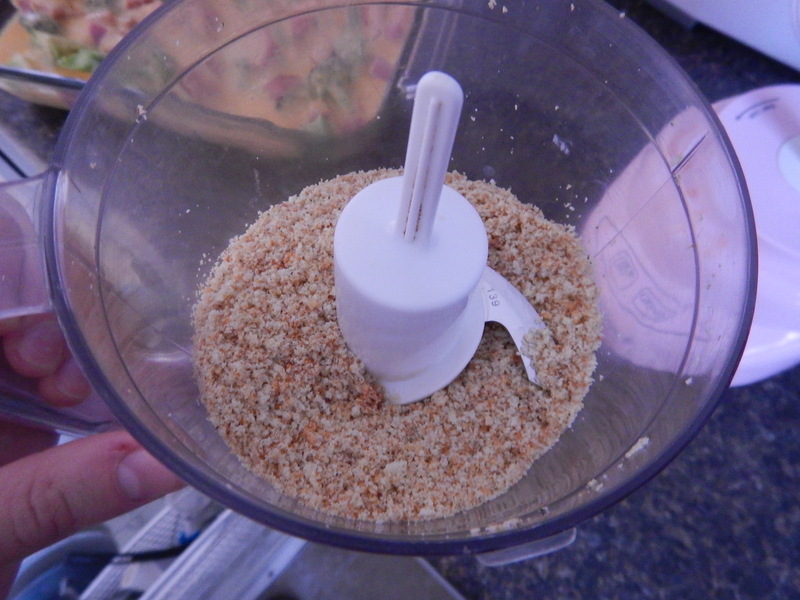 You can use breadcrumbs for this part, but since I didn’t have any, I pulsed up some croutons in the food processor. 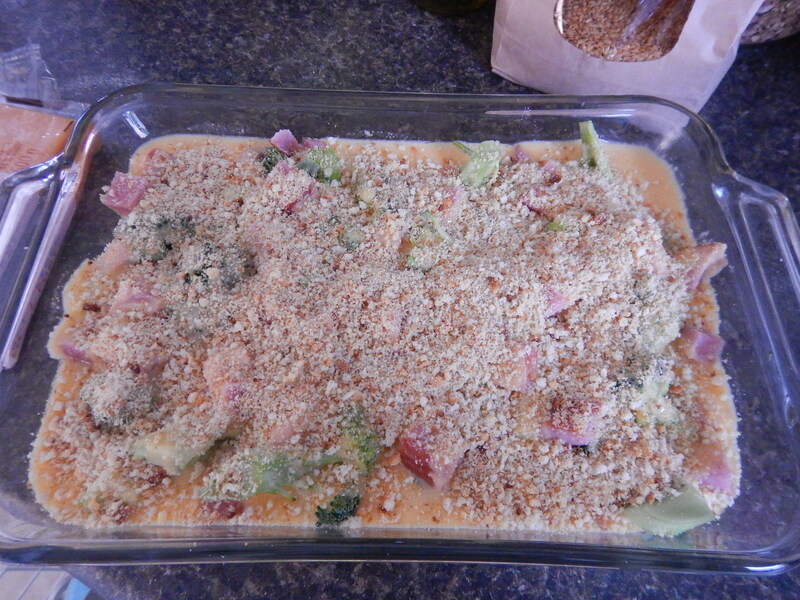 Top your casserole with the breadcrumbs. Bake until golden and crispy on top. And enjoy! Satisfy those cravings! 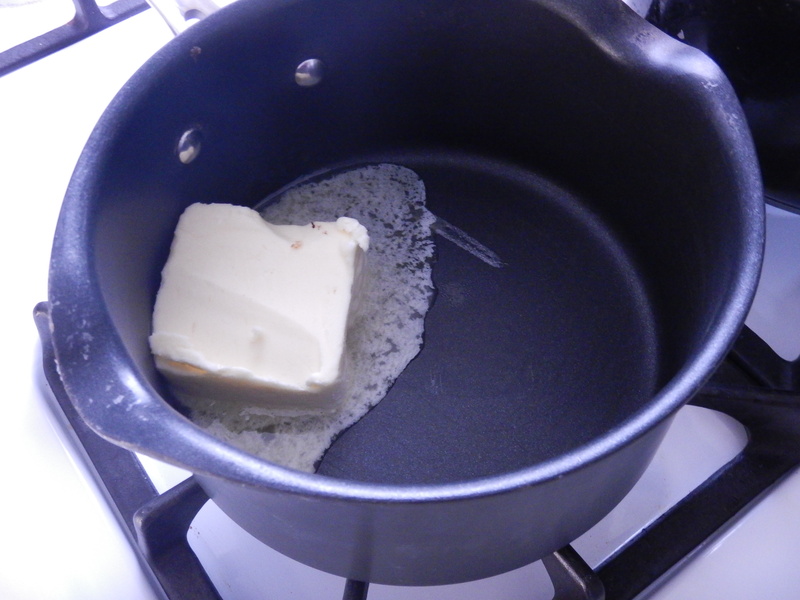 Start by melting the butter in a pot over medium-low heat. Add your sifted flour and cook down for 1-2 minutes, whisking all the while. Add your milk and heat, stirring constantly, until it starts to thicken. Then add your cheese and let melt until you have a smooth, creamy sauce. Preheat oven to 375. 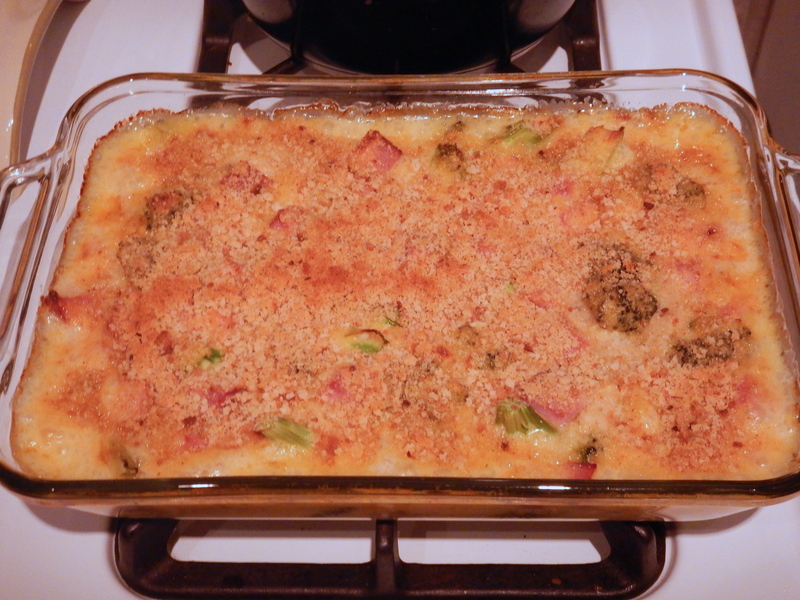 Chop up your broccoli and ham into bite-sized portions and add to a casserole dish. 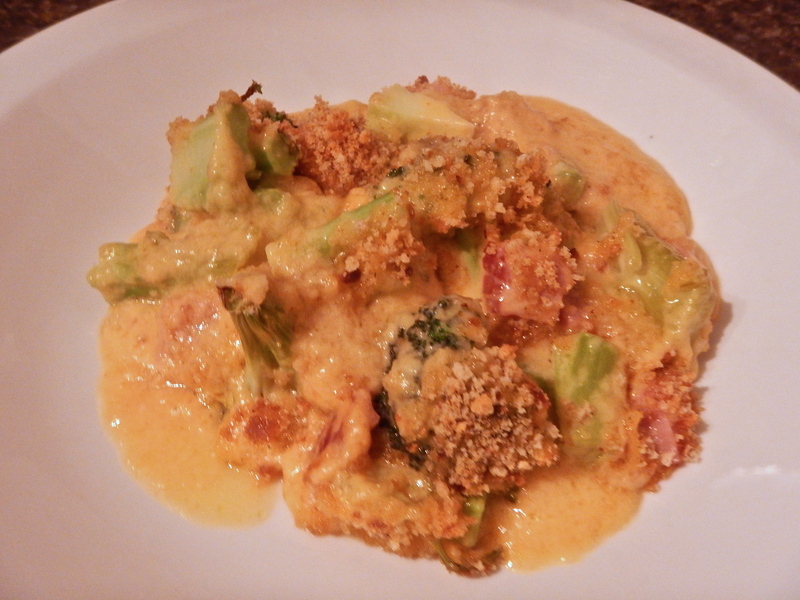 Top with cheese sauce and breadcrumbs. Bake at 375 for 20-25 minutes, until the casserole begins to brown on top.